Earlier this year, I had the pleasure of hearing Dr. Tina Seelig, Executive Director of the Stanford Technology Ventures Program, speak at a conference. Her presentation inspired me to read her books. For a compelling case to develop an entrepreneurial mindset. The central premise of this book is that having an entrepreneurial mindset is necessary for all of us. Seelig views the entrepreneurial mindset as truly seeing problems as opportunities (much like Dweck’s growth mindset). For fascinating real-world examples. Seelig offers practical examples from the classroom and the boardroom. She shares cool problem-based activities from her creativity classes. She also tells great stories of entrepreneurs who have challenged assumptions, embraced and learned from (in some cases massive) failures, and achieved successful breakthroughs. For “Giving Yourself Permission.” Seelig encourages us to give ourselves permission to “never miss an opportunity to be fabulous.” She inspires us to think differently, remove perceived limits and chart our own roadmaps in all facets of our lives. 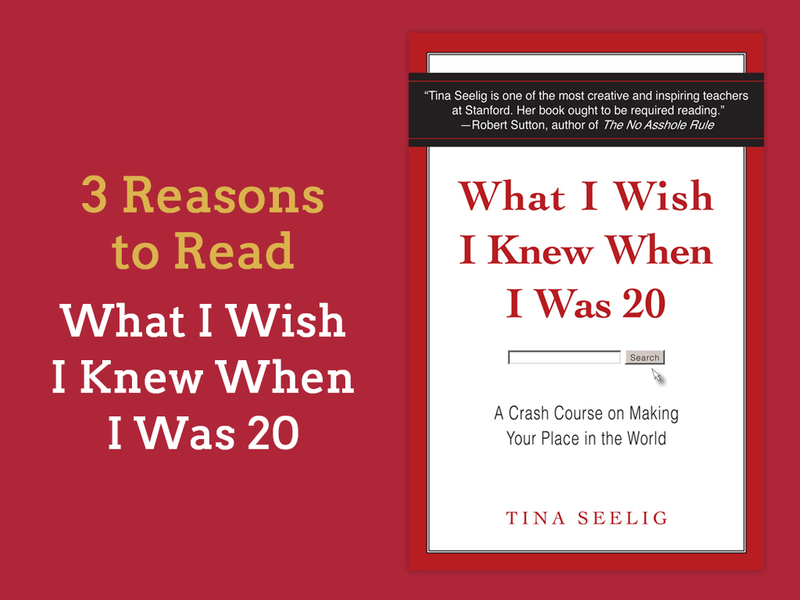 Seelig’s book is “A Crash Course” for those of you in your 20’s about to transition into your careers, and those of you regardless of age looking to affect change in the world. Go to Stanford University’s Entrepreneurship Corner (eCorner) to view talks by entrepreneurs and authors showcased in Seelig’s book.